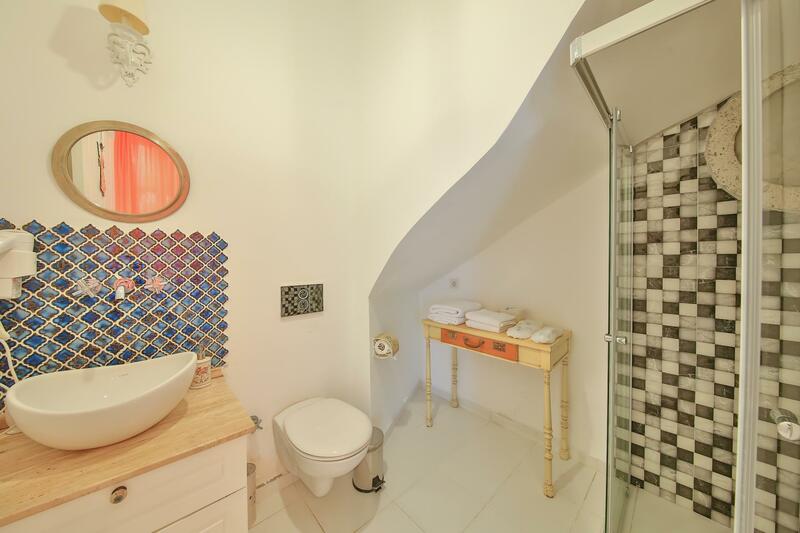 This ground floor room has it own private garden measuring 20mt2. 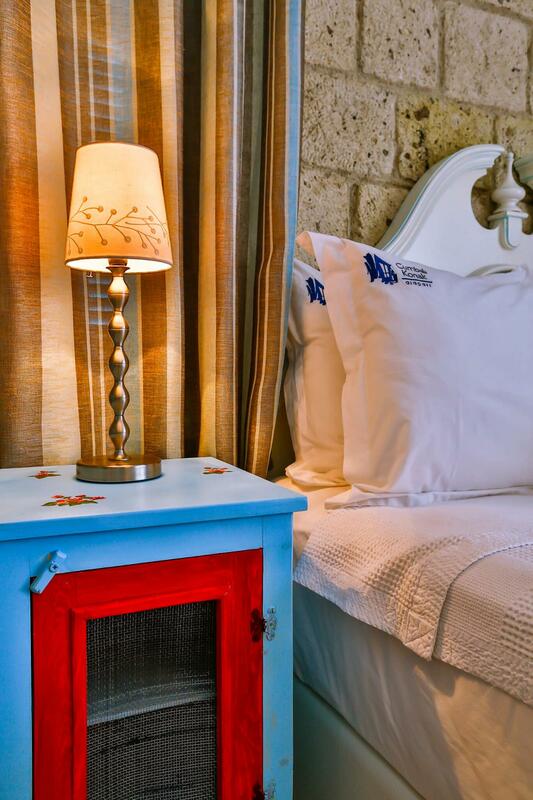 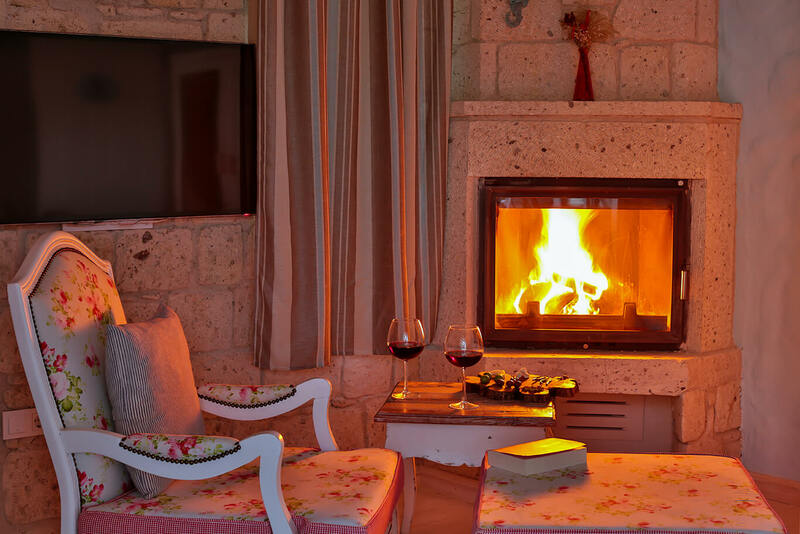 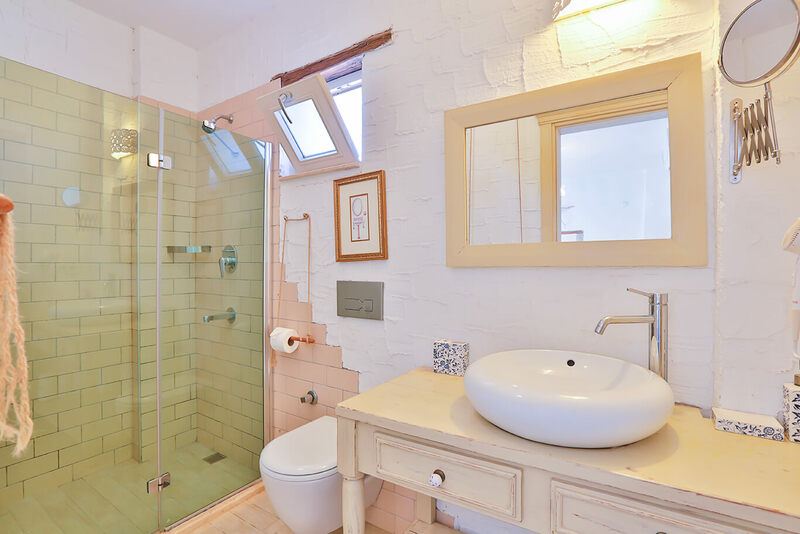 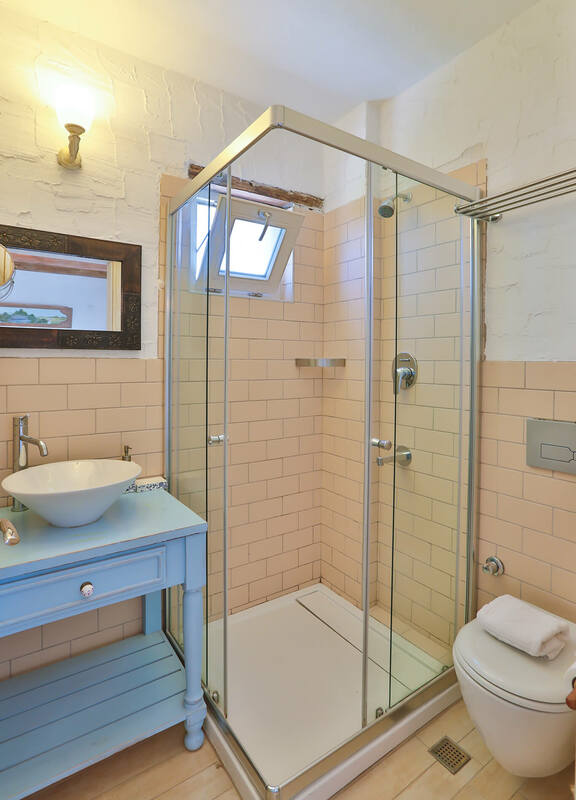 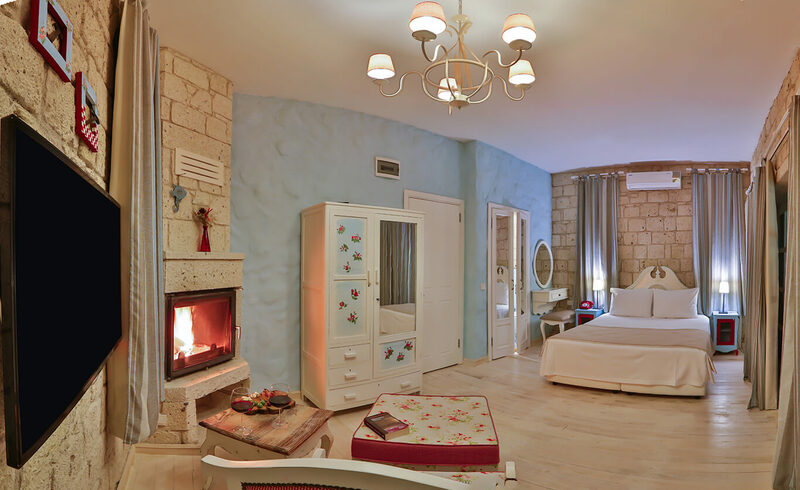 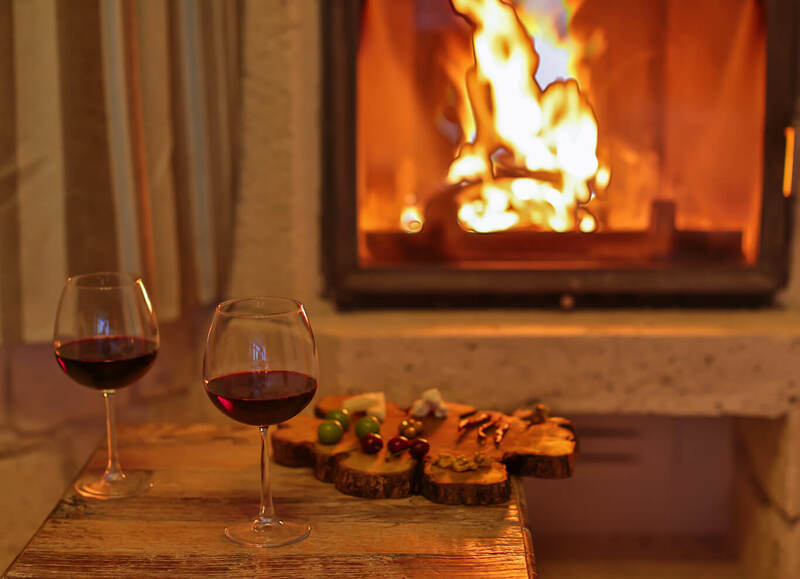 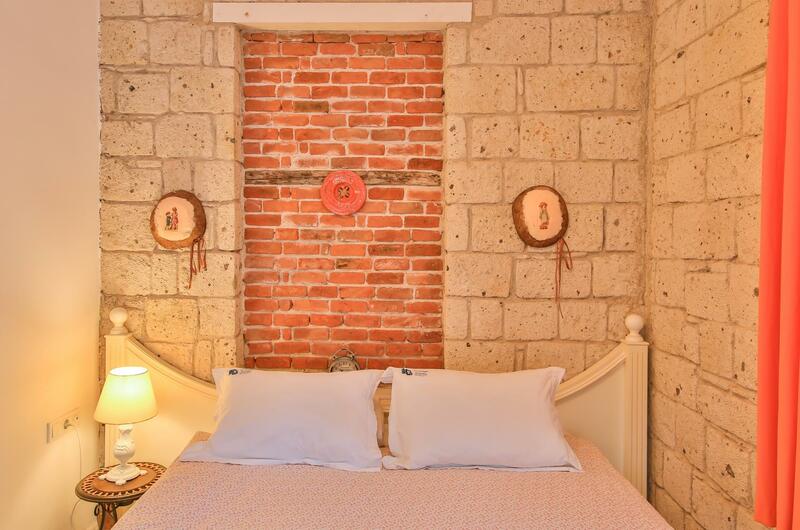 This deluxe room has stone walls and a working fireplace (winter season). 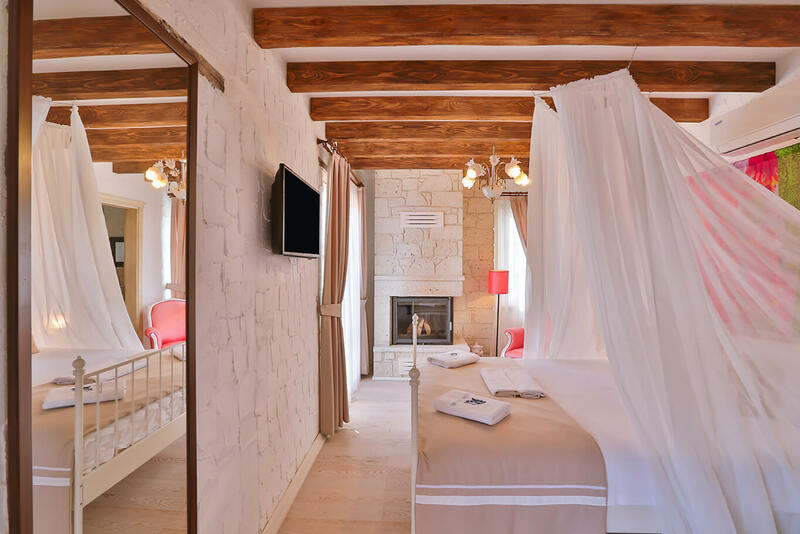 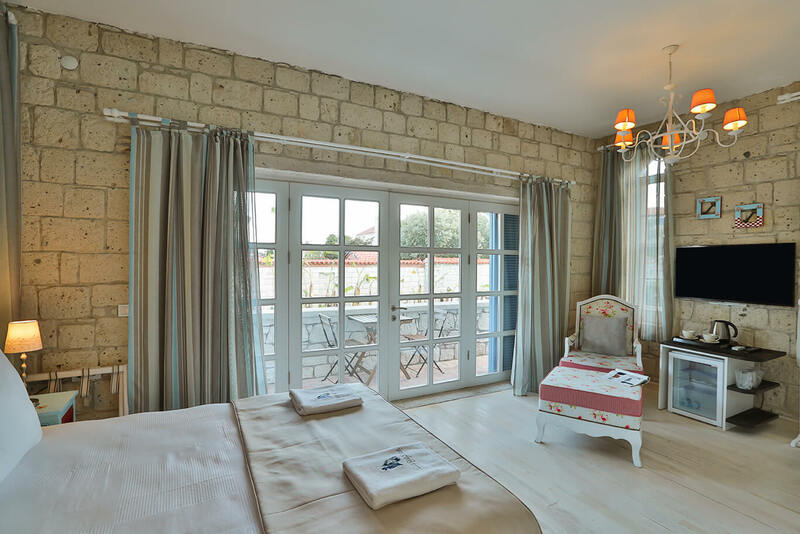 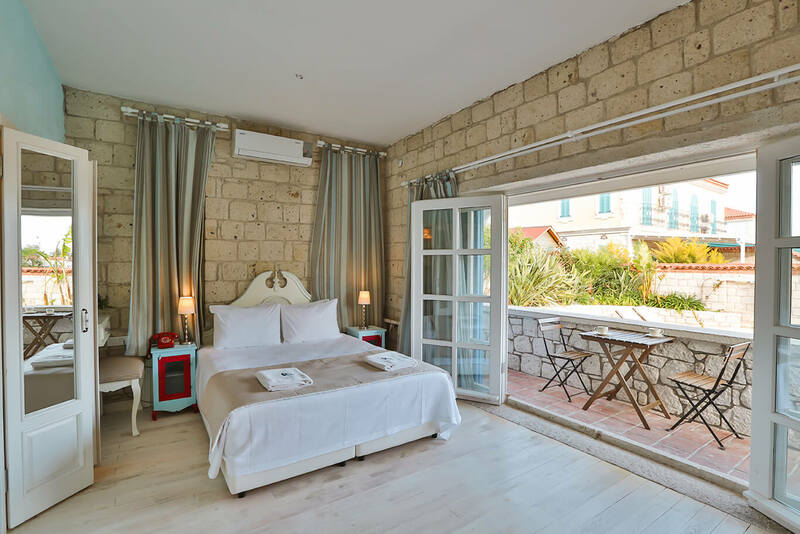 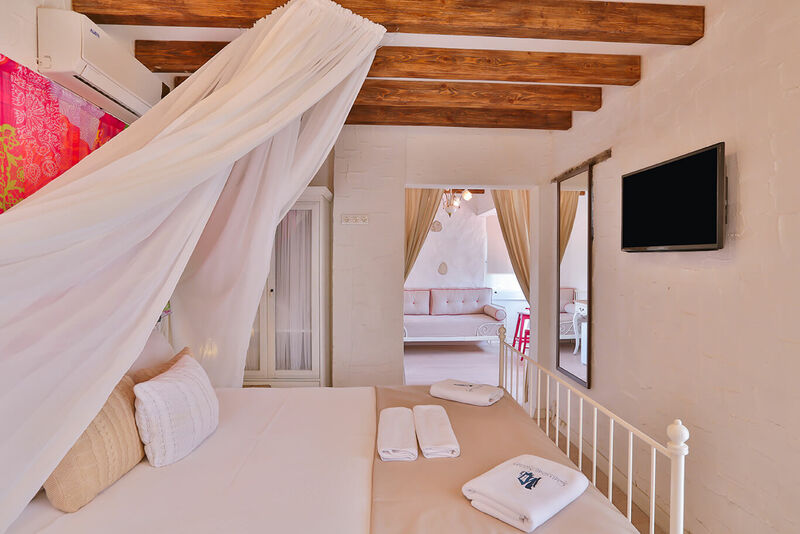 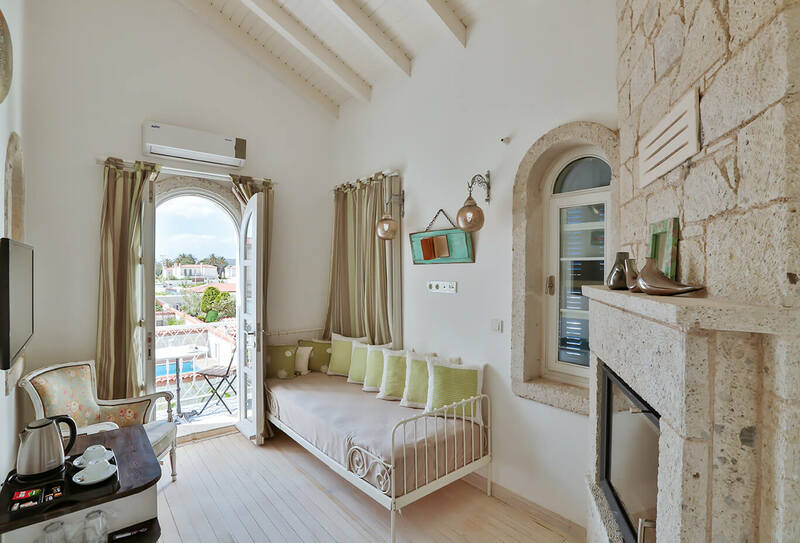 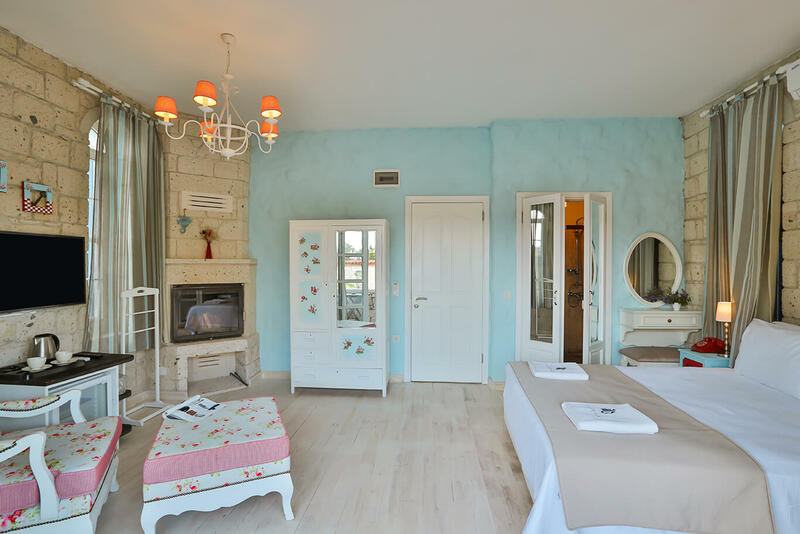 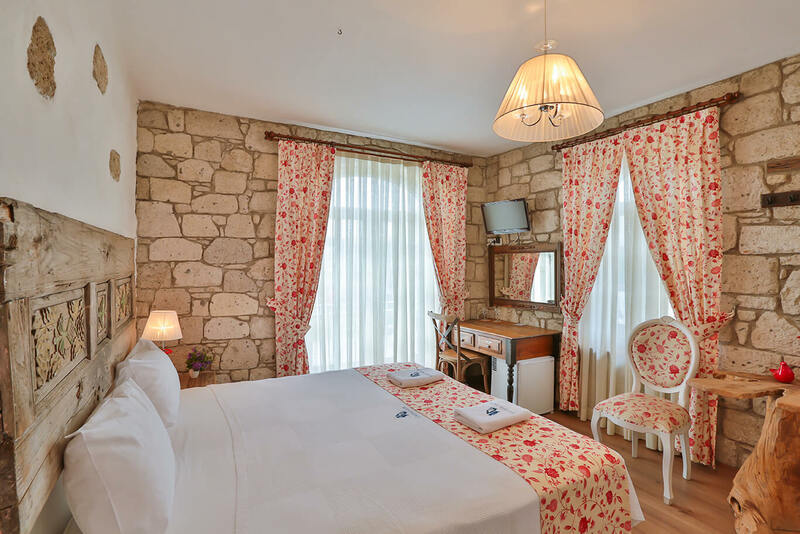 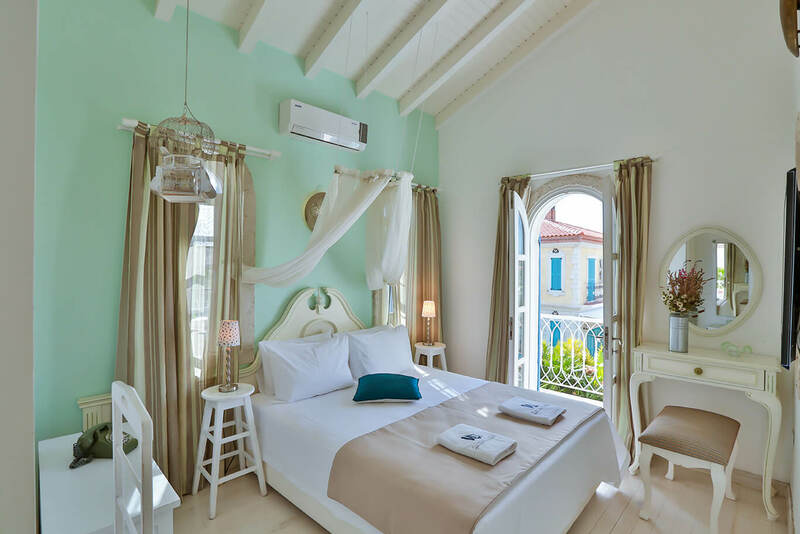 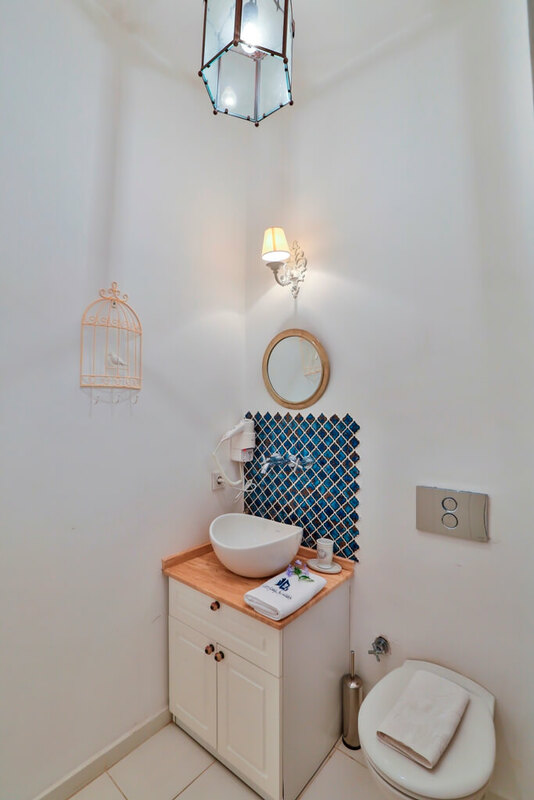 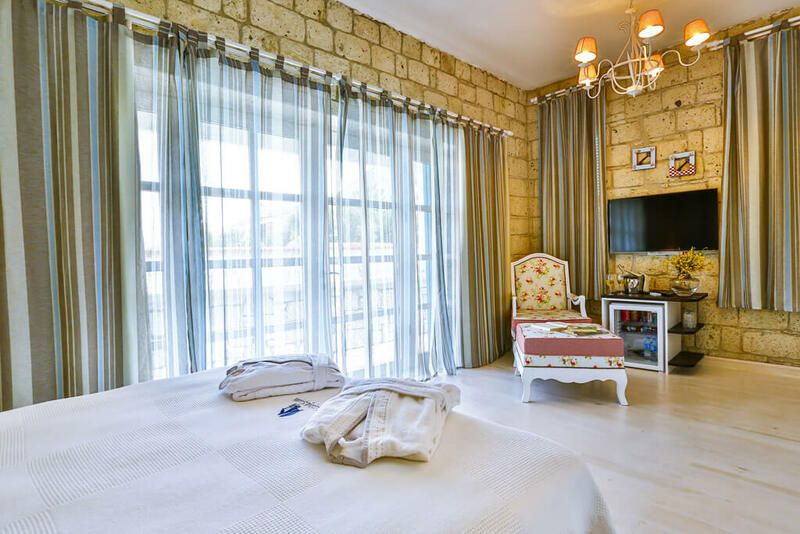 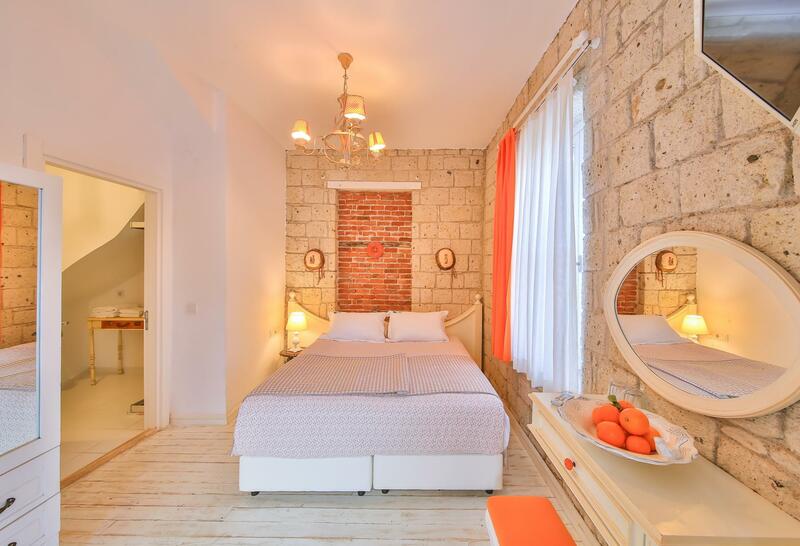 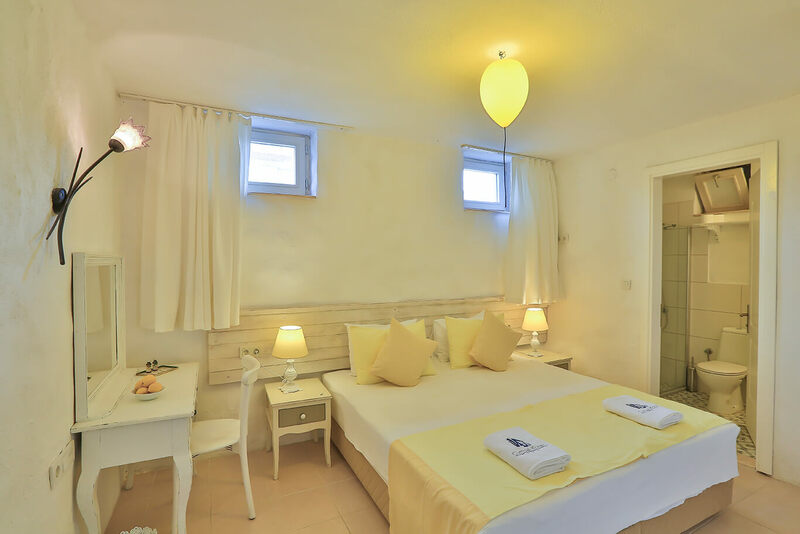 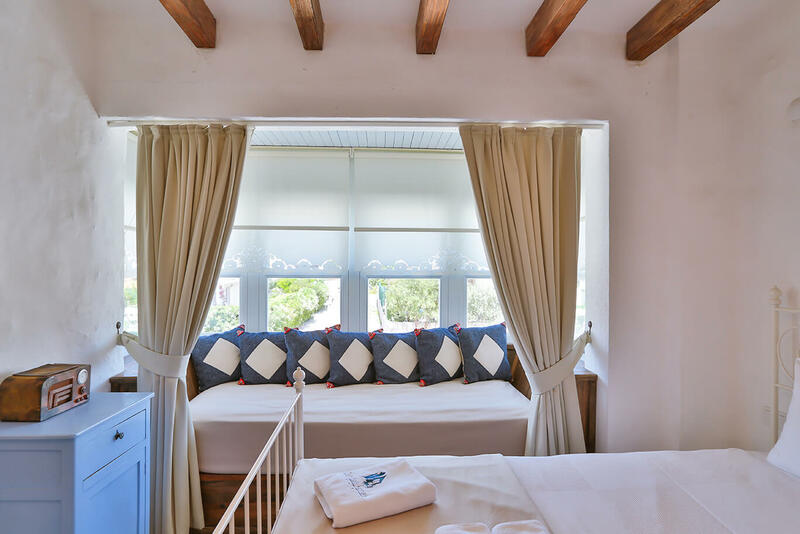 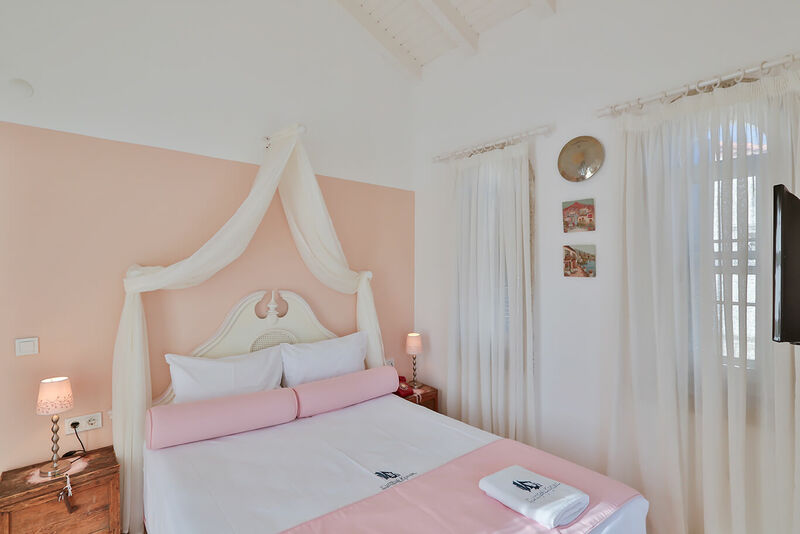 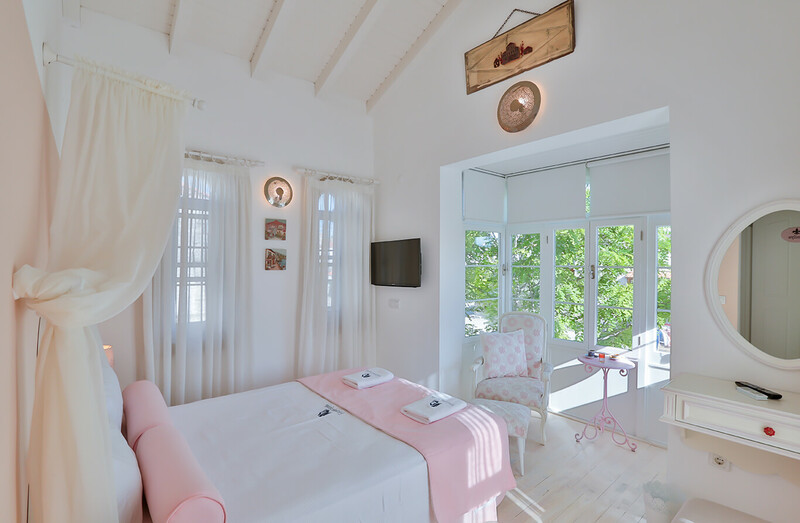 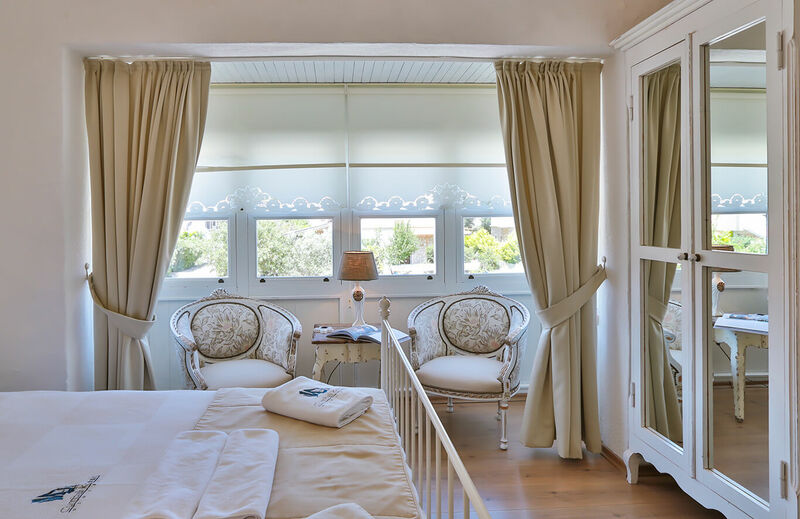 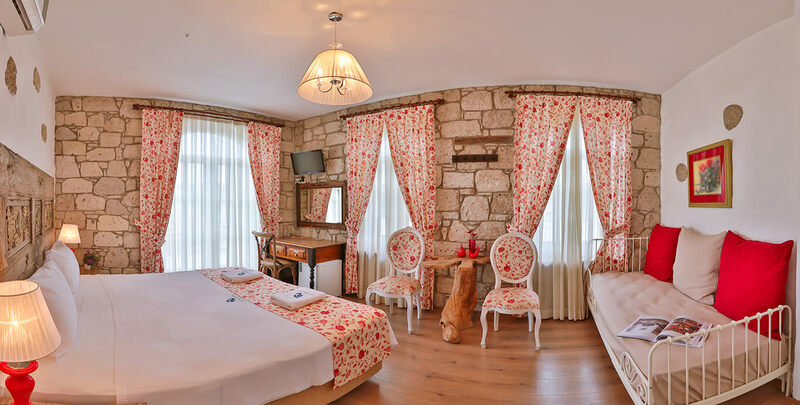 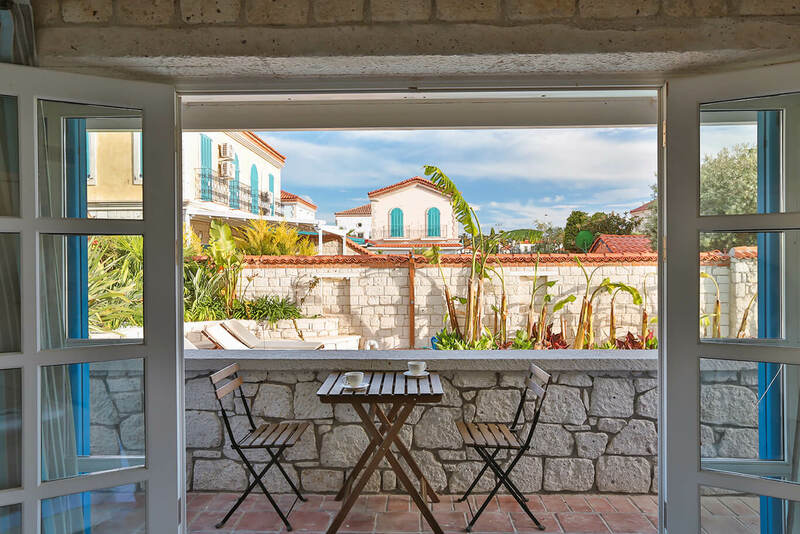 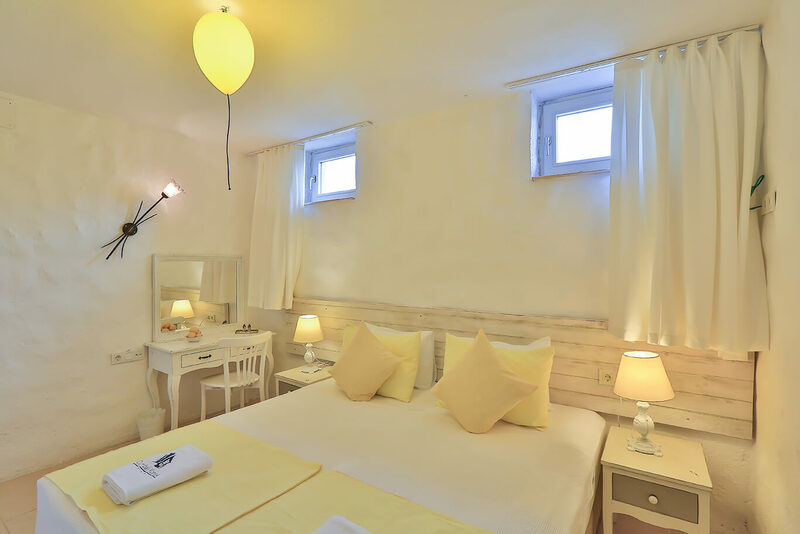 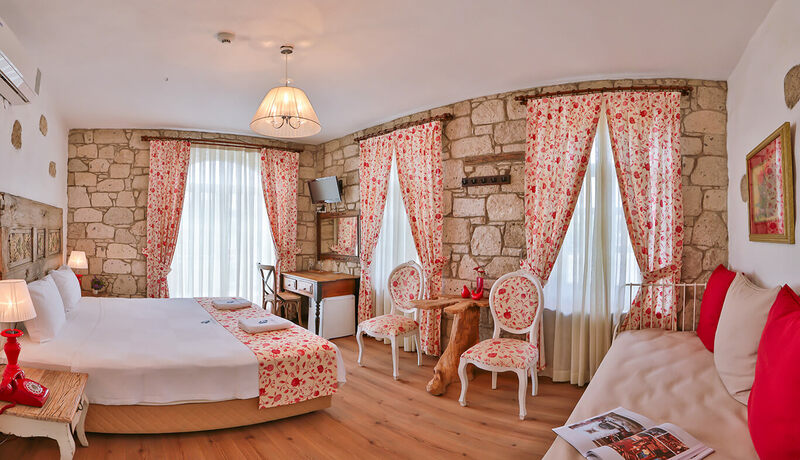 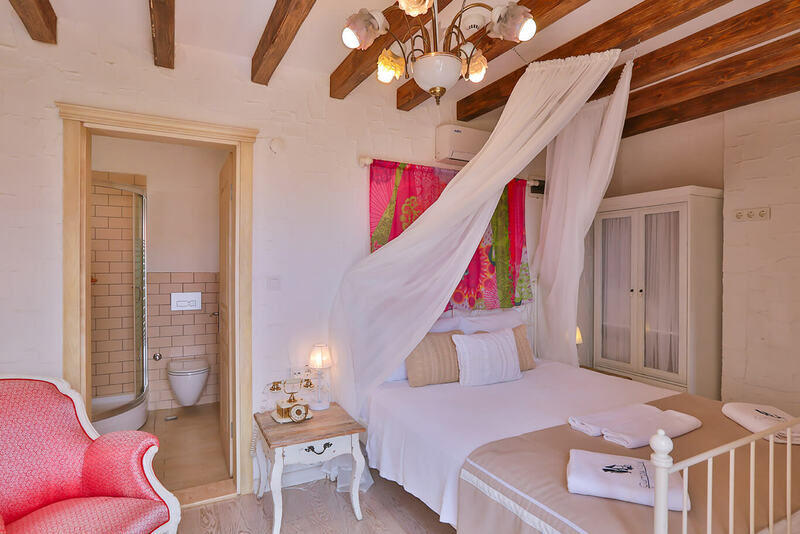 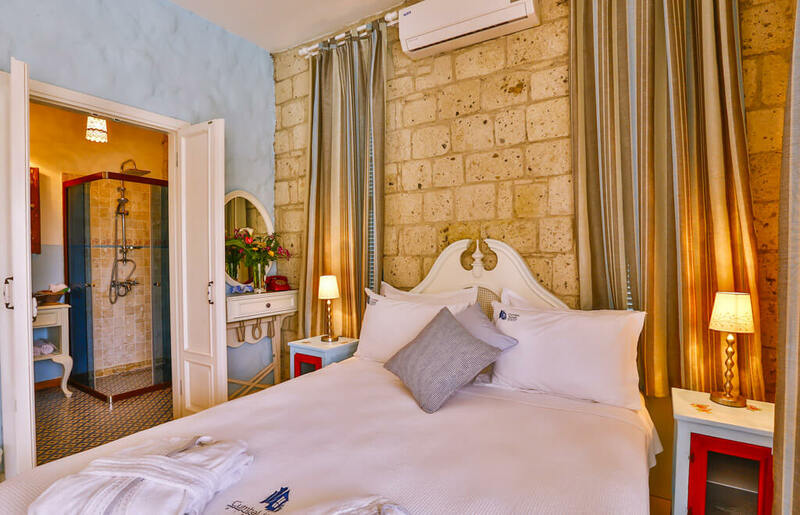 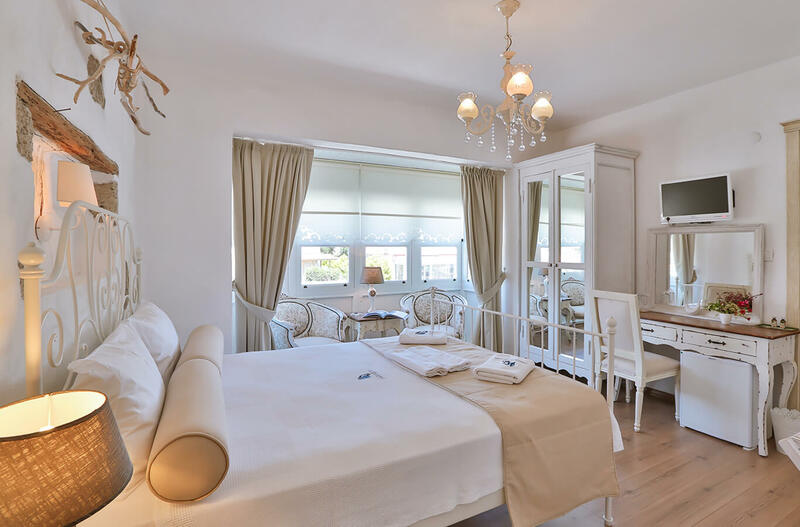 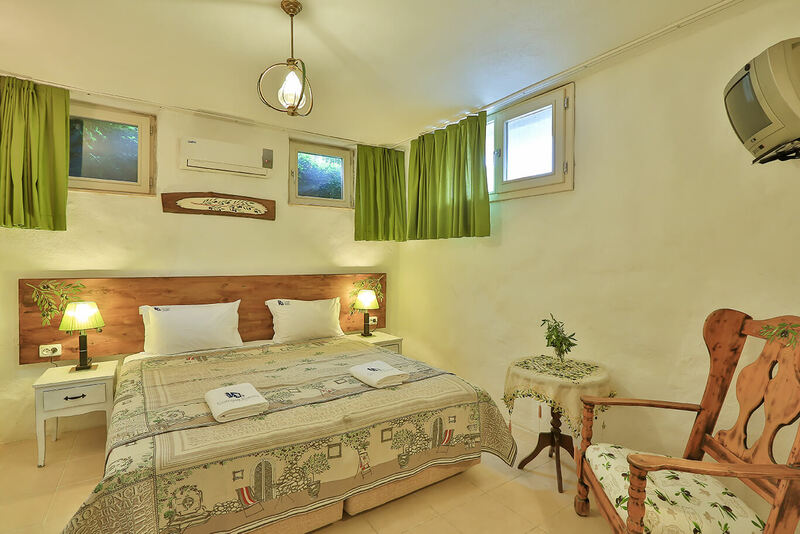 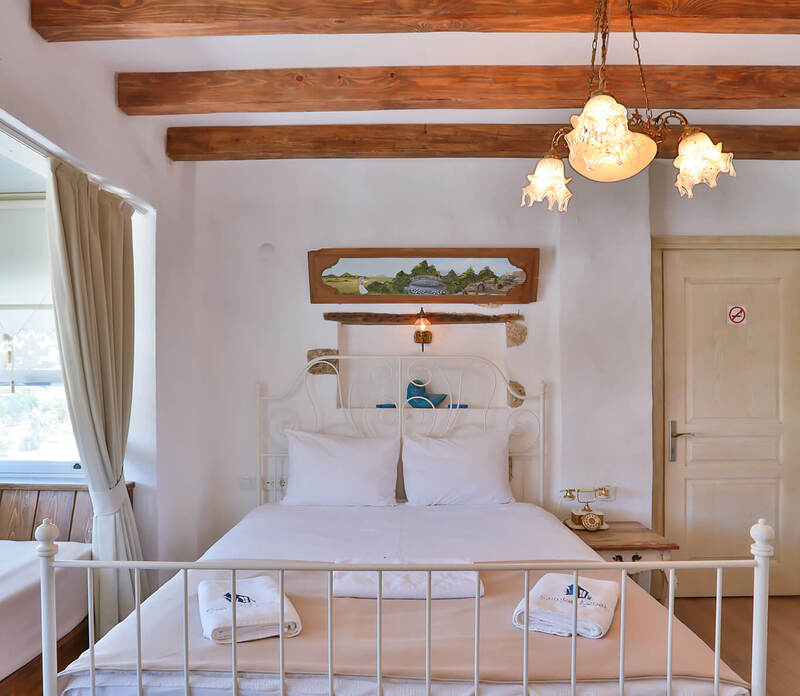 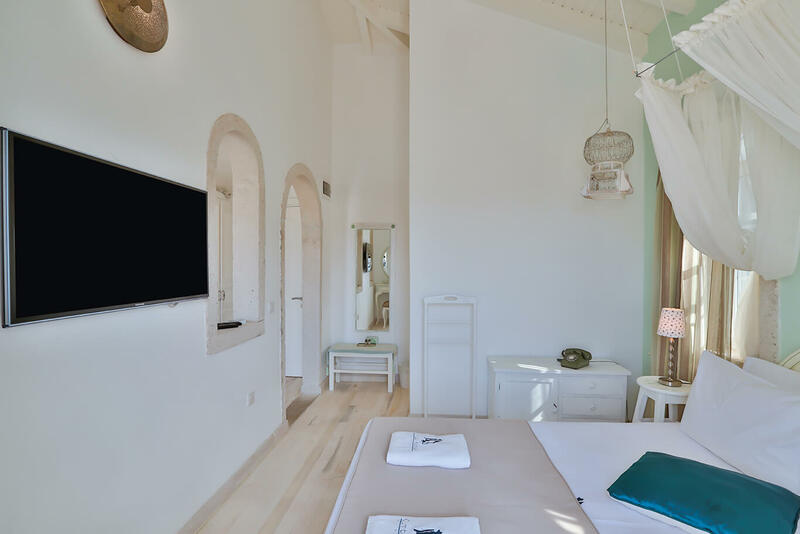 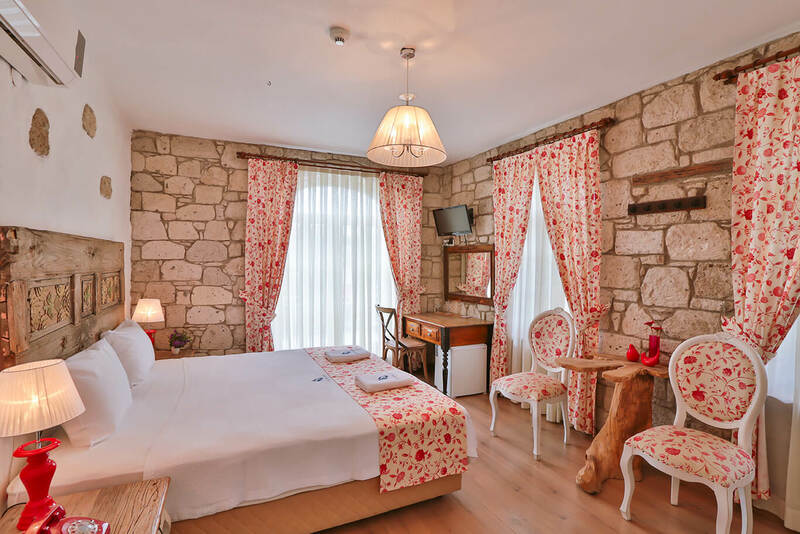 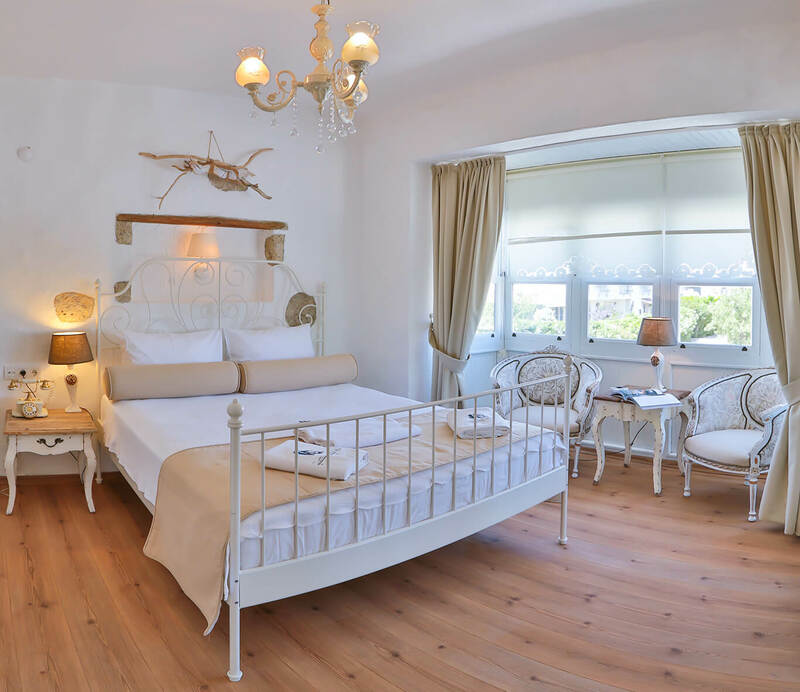 As being of the small hotels in Alacati, Cumbali Konak room features a king size bed with mosquito net and couch which can be made into a bed if required. 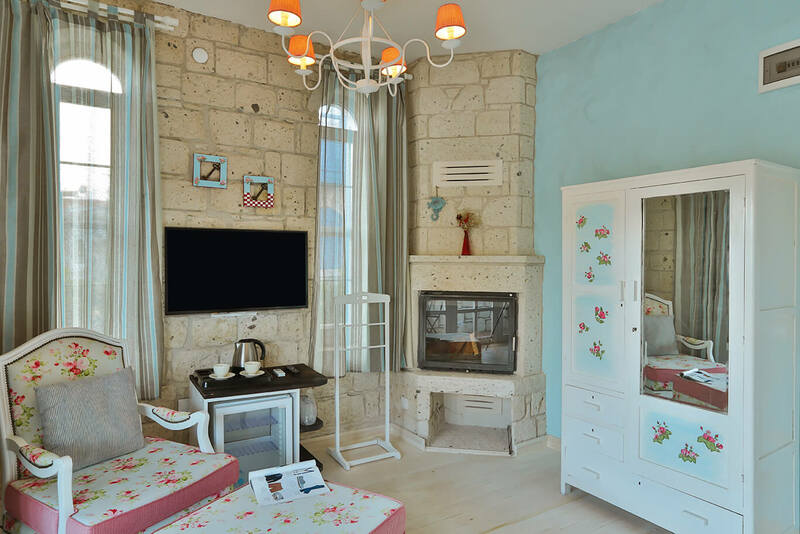 Other features include 40’’ Smart Led TV, media player, keyboard, wi-fi, air conditioning, hair dryer, mini bar, your own personal safe, complimentary toiletries and flip flops. 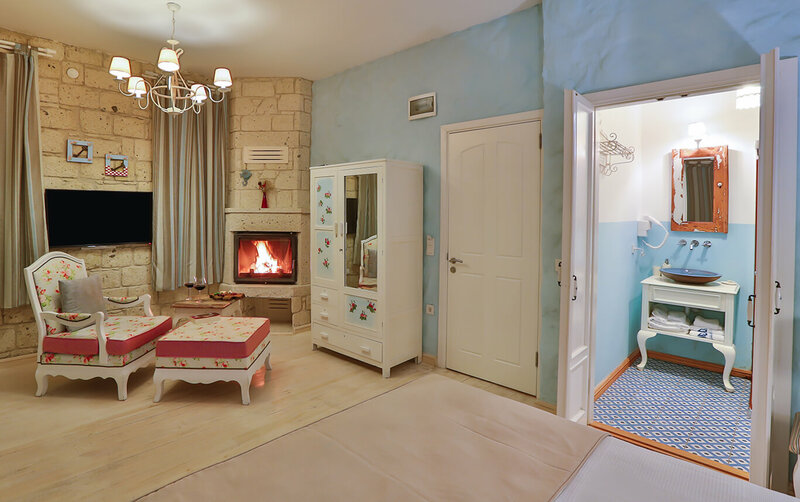 This 1st floor room has working fireplace (winter season). 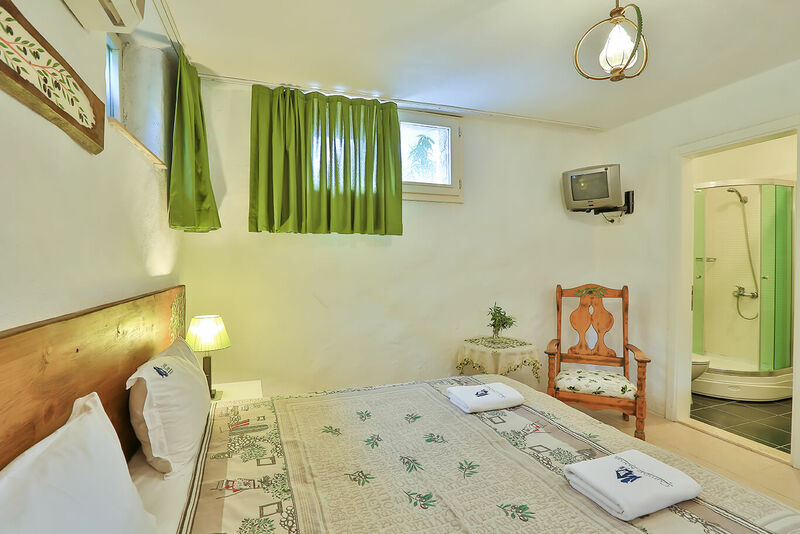 The room features a king size bed with mosquito net and couch which can be made into a bed if required. 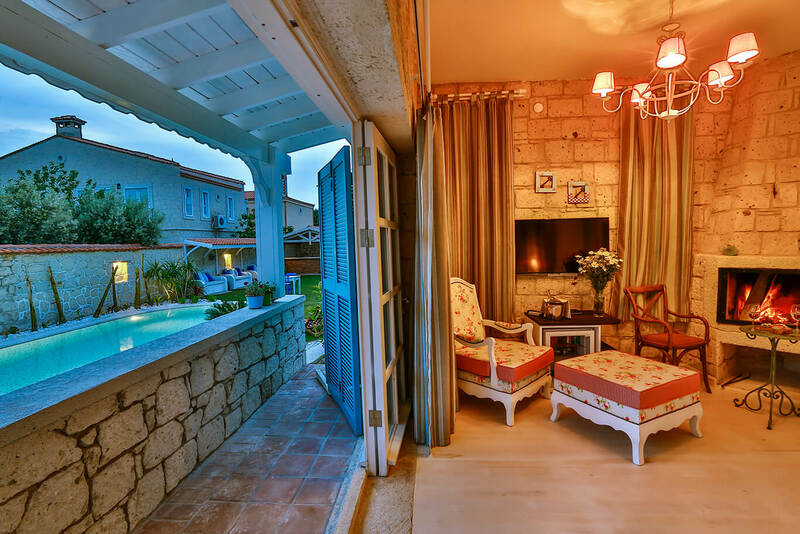 It has a seperate lounge with 2 french balconies overlooking the garden. 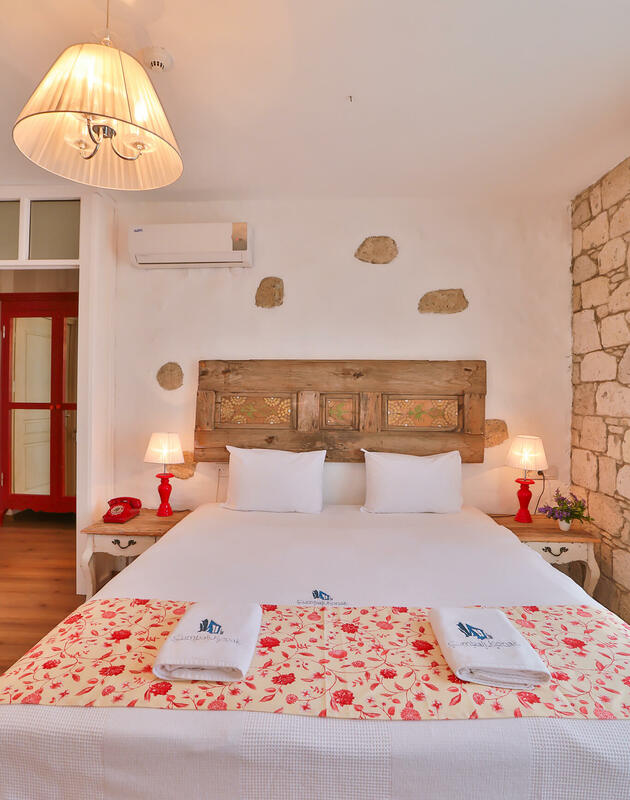 Other features include a 40’’ Smart Led TV, and a 32" led tv, 2 air conditioning units,mini bar, your own personal safe, wi-fi, hair dryer, complimentary toiletries and flip flops. 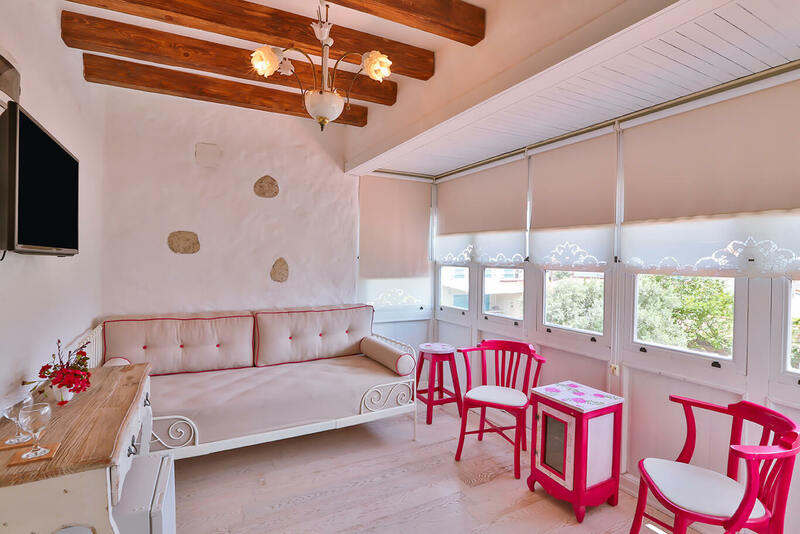 They are located 1st floor . 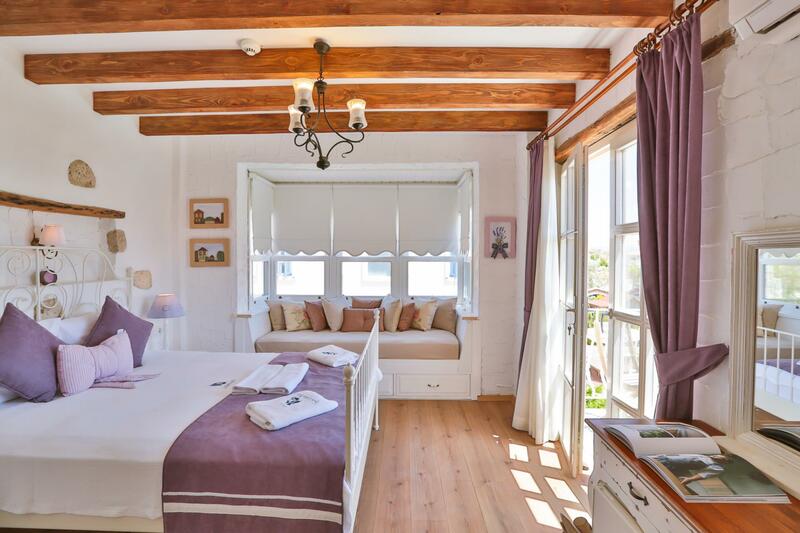 The room features a double bed with an optional extra bed. 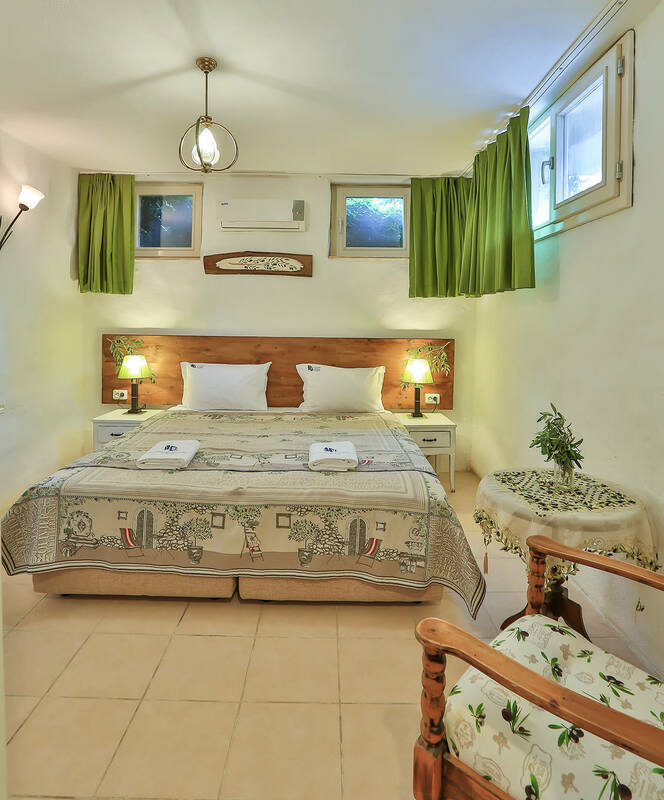 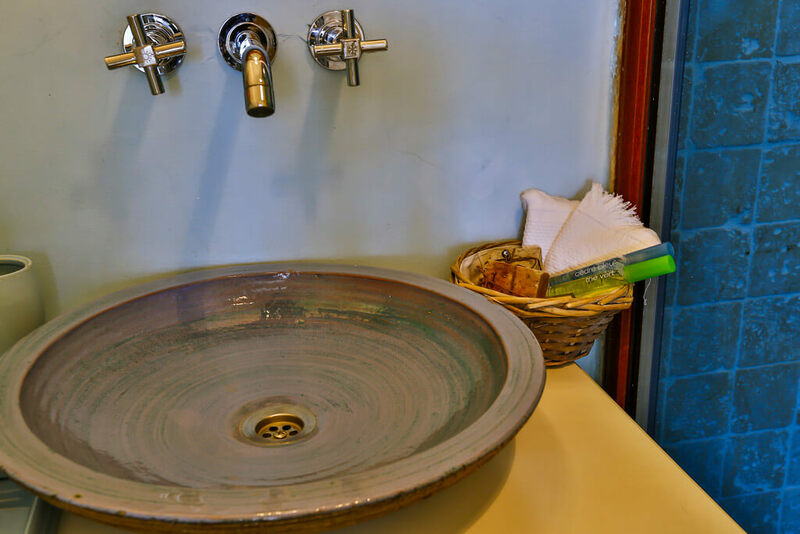 Other features include a cumba, led tv, air conditioning, wi-fi, hair dryer, your own personal safe, mini bar, complimentary toiletries and flip flops. 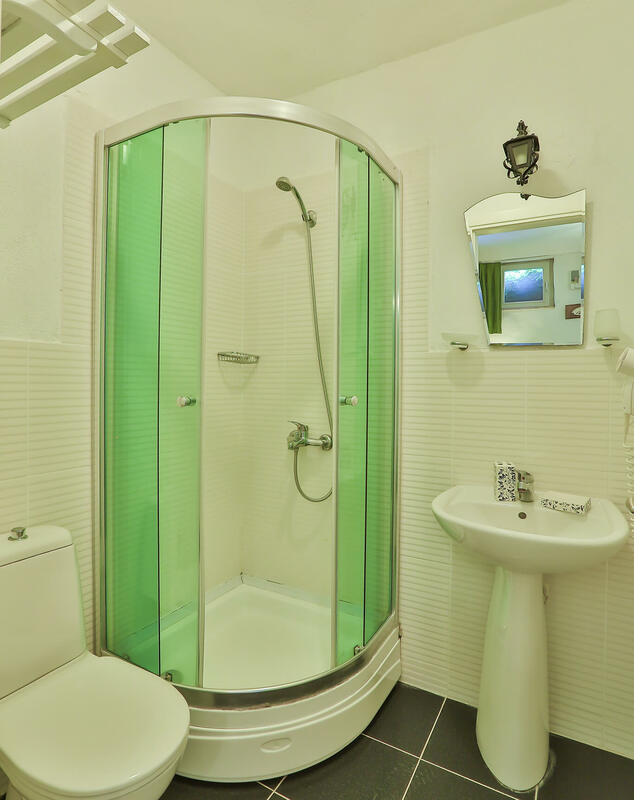 They are located ground floor. 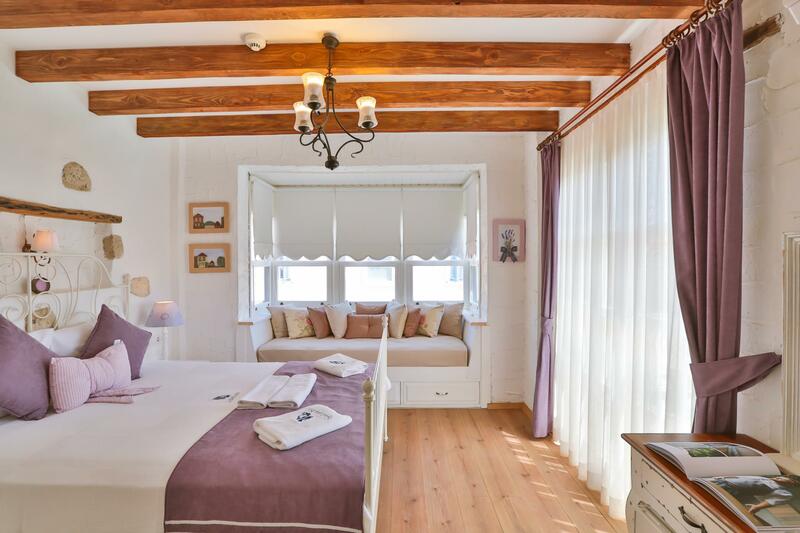 İt have 3 twin beds wich can change into double bed. 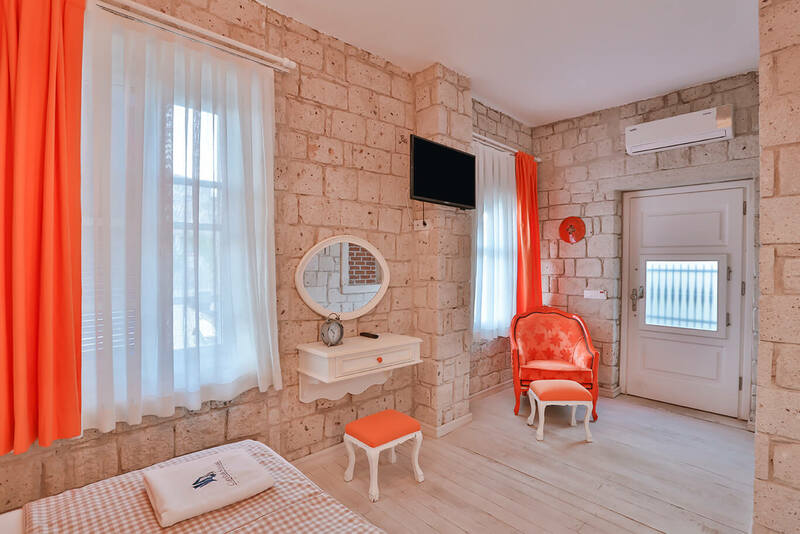 Other features include a led tv, air conditioning, wi-fi, hair dryer, your own personal safe, mini bar, complimentary toiletries and flip flops. 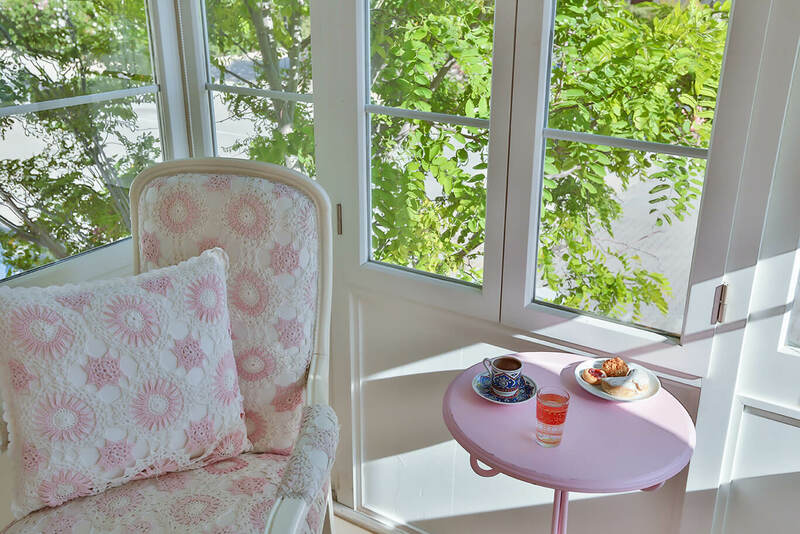 This room with french balcony which overlooks the garden. 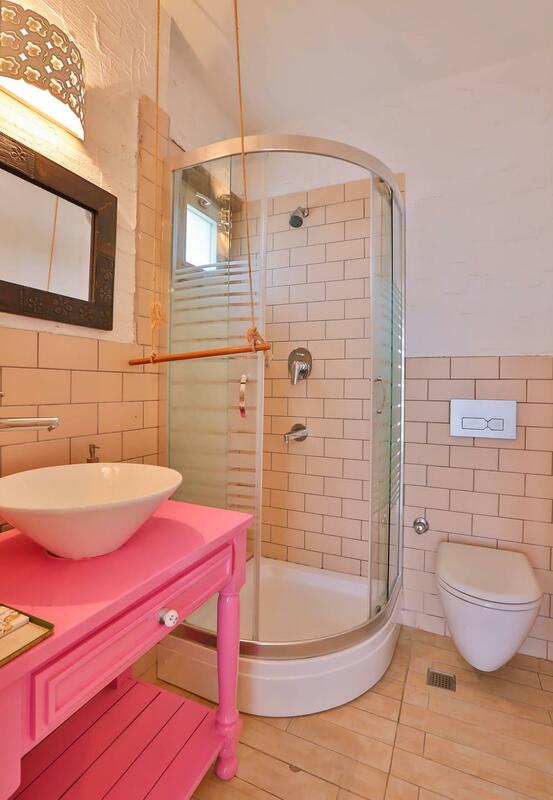 It has a 1 double beds. 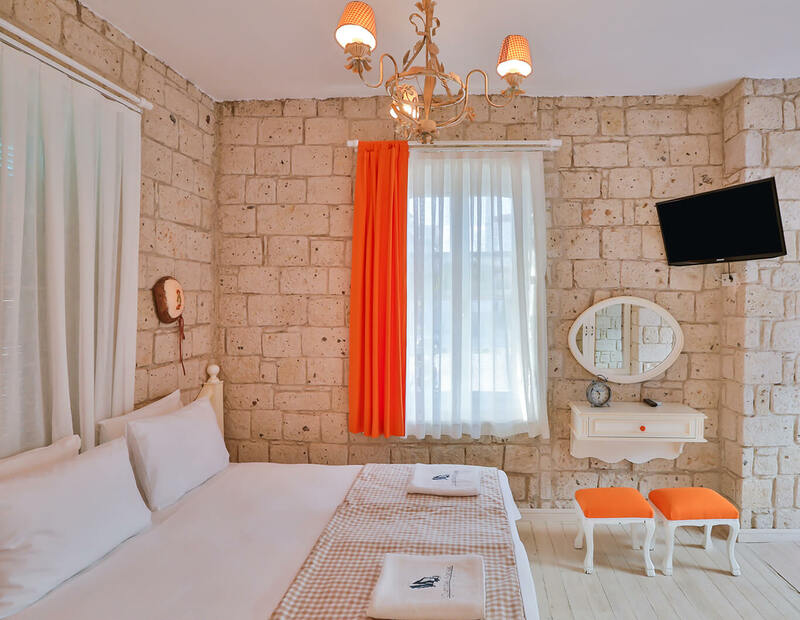 Other features include a led tv, air conditioning, wi-fi, hair dryer, your own personal safe, mini bar, complimentary toiletries and flip flops. 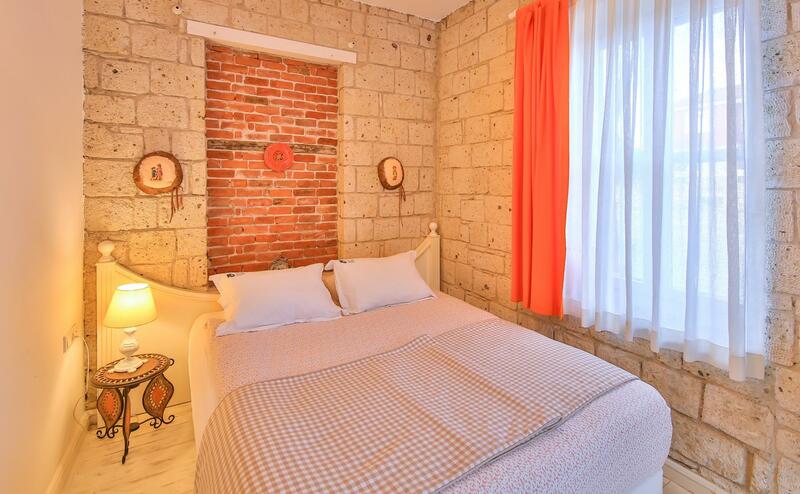 This basement room has 60cm Windows and a more basic decoration but is still as big as a standart room. 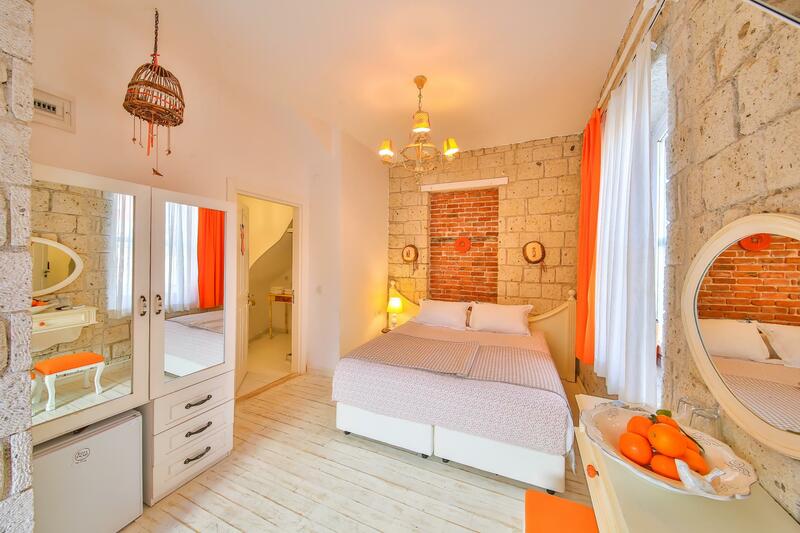 İt has twin beds which can chande into a double bed. 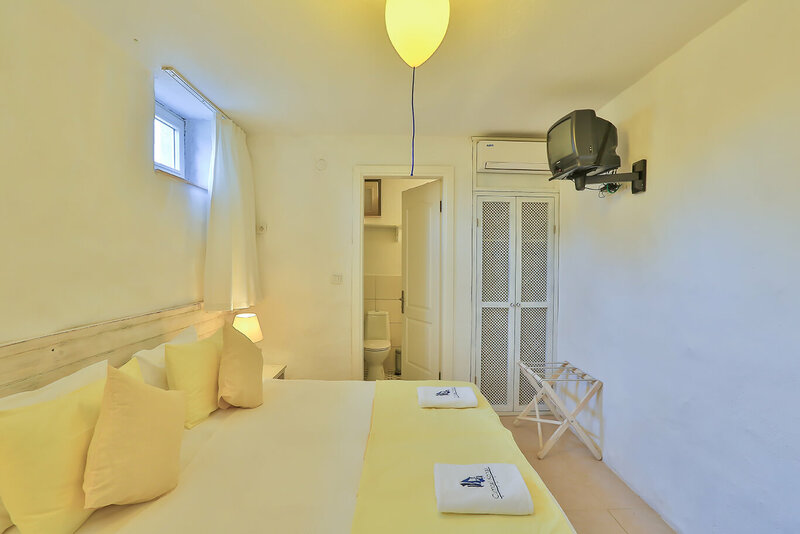 Other features include satellite tv, air conditioning, wi-fi, hair dryer, complimentary toiletries and flip flops.